As this week marks International Women’s Day 2018 (Thursday 8th March), we thought our rider interview should be from one of our amazing female Cyclone24 participants. Kayleigh Lee, Project Surveyor at Willmott Dixon, took part in our Wales challenge in 2017, forming part of the Willmott Dixon team who raised over £7,000 for their chosen charity and finished on a mighty fine 3426 laps. Below are Kayleigh’s thoughts on taking part. An email did the rounds in work about the event. I volunteered a few days later but unfortunately I was too late and all the spaces had been filled. About two weeks before the event someone had to pull out and I was lucky enough to be asked to step in. I jumped at the chance! 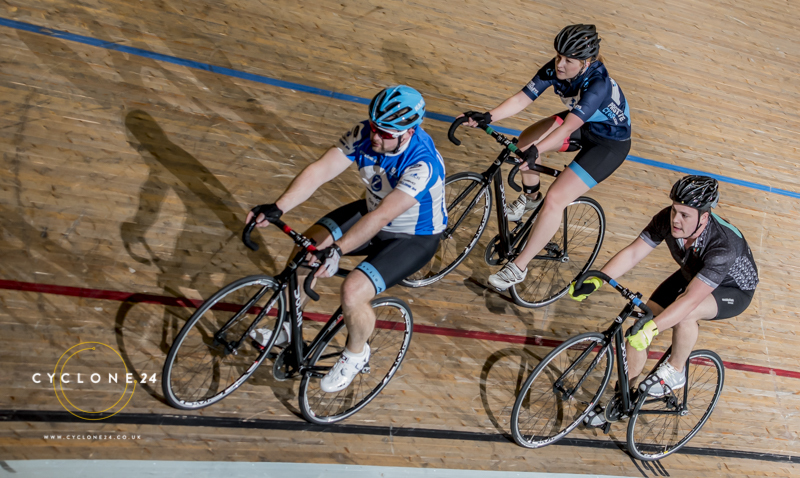 Track cycling is something I have never considered or had any experience with. I’m a keen road cyclist and I’m always looking to better my ability and challenge myself. Riding a fixie bike was definitely going to be a challenge for me! Also to be given the opportunity to be part of an event like this whilst raising money for a great charity certainly got my attention. As I only had two weeks to prepare it was panic mileage, I started cycling to and from work and getting some early morning rides in. I suppose the 5:30am wake ups to get out on the bike helped me get through the early morning section of the challenge. I managed to squeeze in a track session one week before the event which went really well and certainly whet my appetite for the event. Probably the early morning section of the event. I felt like this was my best riding. It was nice to see groups forming to help each other around the track – such great teamwork from everyone. The atmosphere was electric and didn’t dwindle during these early hours when you might expect energy to be a little low. My parents came to watch one of my stints as well which was nice, it gave me a much needed boost. I don’t think I realised just how much the lack of sleep would affect me. It was such a great feeling to see the clock counting down the final hours. It did make me quite emotional – I got a bit choked up when I collected my medal, I was really proud of myself for taking part and completing what was such a challenging event, both physically and mentally. Don’t think about it, just sign up! You won’t regret it. It’s a tough 24 hours but it’s such an amazing experience. Plus you get a free cycle cap (I haven’t taken mine off!). Padded shorts and lots of chamois crème are a must… A volunteer willing to bring you ‘Sausage and Egg McMuffin’ in the morning also helps! Oh and a good team spirit. I couldn’t have completed it without having a great team to participate with. We couldn’t agree more with the sausage and egg mcmuffin! These are starting to prove very popular at our challenges! 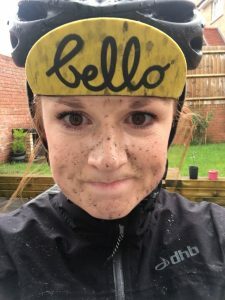 We’ve also been very impressed with Kayleigh’s social media posts of her wearing her Bello Cyclone24 cap proudly and we hope we may see her again this year for our Wales challenge.